One need only compare the sense of dispatch at Federal Express with time endured to send a package via the U.S. Postal Service to recognize the federal government doesn’t do things quite as well as the private sector. It doesn’t even function as well as state bureaucracies. ObamaCare, which socializes an industry larger than the economies of France or Britain, is proving Health and Human Services can be more incompetent than many Third World governments. These past few weeks, poor Mexico could sign up urban poor for health care with less mess than Washington did folks needing insurance in San Antonio. In Europe, national health care systems deliver coverage for everyone at remarkably lower cost, and in countries with per capita income comparable to the United States, a lot better care. The United States spends 18 percent of GDP on health care; Germany and Holland spend about 12 with better results. 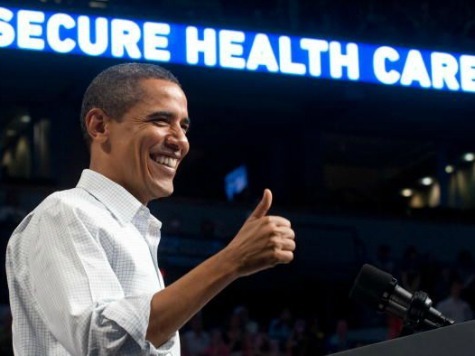 One only need look behind the rollout of the federal health insurance exchanges to see why. President Obama sees every decision from the timing for sending his mother-in-law a birthday card to those required for the rollout of the exchange as a political calculation. The bureaucrats at Health and Human Services ordered CGI, the private contractor primarily responsible for designing the exchanges, not to permit visitors to browse prices anonymously. That would allow young people with decent jobs to compare the prices they must pay for insurance, lest they face harsh penalties, with the subsidized prices offered other young folks with lower wage jobs. After all, those jarring differences might cause young voters, whose allegiance to President Obama has been weakened by an economic recovery that does not deliver decent prospects for their advancement, to vote for whatever Republican promises less government and dares to run against Hilary Clinton. This political decision was made less than a month before the exchanges went live and threw a terrible wrench into the rollout. Like the IRS decision to harass conservative non-profits and community activists, it is not clear how high up that decision was made-the HHS division directly supervising CGI, Secretary Sebelius or the White House. Sebelius laments the online marketplace should require five years to construct and a year of testing. Yet California, whose economy is larger than most countries and has problems as complex, managed to get the job done. Its exchange and those of other states, designed independent of federal incompetence, are running well despite initial glitches. A basic problem Washington does not like to admit is that the federal civil service is a refuge for overpaid, politically-motivated, and distracted-from-task statists, who are often cynical about the private sector and insensitive to citizens’ needs. Like the Godfather’s henchmen, they look to what will please their political masters and act accordingly, even if it tramples civil liberties. Consider the allegedly independent handiwork of the IRS bureaucrats on nonprofits and citizens supporting conservative causes or the Justice Department’s wholesale violation of privacy of Associated Press communications. American universities’ schools of business and engineering attract the best and the brightest–not so schools of public policy, education, and the softer social sciences that train foot soldiers that fill offices at HHS, Justice, and the like. Democrats in Congress are raising questions about HHS reliance on private contractors, but the federal government simply does not have the resources to pull off something as large and complex as the health care exchange. If the president wants ObamaCare and other federal initiatives to succeed, then he and his cabinet can’t make every decision a political calculation and recognize the government civil service needs much more competent employees, not political activists masquerading as public servants.